The non-immigrant Iranian visa gives you entry permission to Iran for a limited time and is issued by Iranian embassies and consulates of the Islamic Republic of Iran abroad or at Iranian international airports. There are different Iran visa types and the purpose of your trip and other factors will determine what type of visa you should apply for. Infographic: Iran Visa Types, Jan. 2019.  The Entry visa is sometimes called the “Iran Business visa”, and it is suitable for foreign citizens who have an official invitation letter from ministries, governmental organizations, private and public sectors, conferences or international fairs and so forth for the purpose of professional/academic visits, conducting business affairs, negotiations, signing of contracts, setting up purchased machineries, and etc…. Duration of stay in Iran Business visa is according to the itinerary stated in your invitation letter. Who can apply for the Entry visa type A? Tip: In most cases, the inviting organization, private company or academic institute can apply for your business visa (Type A) and get your Iran visa authorization code from Ministry of Foreign Affairs (MFA). The Tourist visa is for foreign citizens who intend to travel to Iran for tourist purposes or visit family. This is the most common Iran visa type and most of Iran visitors use tourist visa to enter Iran. Even those who want to attend seminars, conference, fairs or have a short business visit can apply for a tourist visa through an Iranian authorized travel agency. Who can apply for the Tourist visa type B? All tourists who want to stay in Iran for 30 days or less. The Pilgrimage visa is for foreign Muslims who intend to make the pilgrimage to holy places in Iran. This Pilgrimage visa is same as Iran Tourist visa. The only difference is its price which is lower. Who can apply for the Pilgrimage visa type C? All Muslim tourists who want to stay in Iran for 30 days or less. The Diplomatic visa is suitable for all foreigners with diplomatic passports who intend to visit Iran. Who can apply for the Diplomatic visa type D? The Service visa is similar to the Iran Diplomatic visa and is suitable for all foreign diplomatic passport holders who intend to visit Iran. The Education visa is suitable for foreign students or religious scholars who intend to study in Iran. Foreigners applying for this visa need a certificate of eligibility for nonimmigrant student status from the Iranian Science Ministry, Education Ministry, or an accredited academic institution. Who can apply for the Education visa type E? The Temporary Work visa is suitable for foreign citizens who intent to work in Iran. Foreigners applying for the Iran Temporary Work visa need to obtain a work permit from a sponsor employer in Iran, and it must be approved by the Labor Ministry. Who can apply for the Temporary visa type F? The Transit visa allows foreign citizens to pass through Iran with no purpose of staying. Foreigners applying for the Iran Transit visa need to have a valid visa or permission to enter their destination country. Who can apply for the Transit visa type G? The Press visa is suitable for foreigners who are members of the media, including members of the radio, print, digital, directors and producers of films, reports … who intent to travel to Iran for purpose of their profession. All applicants who intend to travel to Iran to report, interview & … should apply for the Iran press visa and avoid applying for other type of visas. Who can apply for the Press visa type H? The Investment visa is suitable for foreign investors whose investment permit is approved by the Organization for Investment Economic and Technical Assistance of Iran (OIETAI). Who can apply for the Investment visa type I? The Marital visa is suitable for foreign men who are married to Iranian women, as well as their offspring. Who can apply for the Marital visa type M? The Medical visa is suitable for foreign citizens who wish to travel to Iran for medical purposes and have already received an approval letter from one of the authorized medical centers. Who can apply for the Medical visa type T?